It’s a little old but still good. 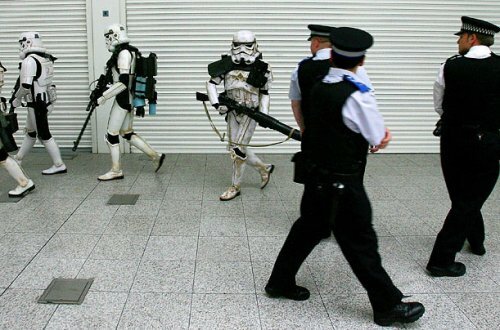 Police and Stormtroopers share uneasy looks. From Kiku.